S-File and Deadwalkman touring this September in Colombia togehter for some DJ Gigs. 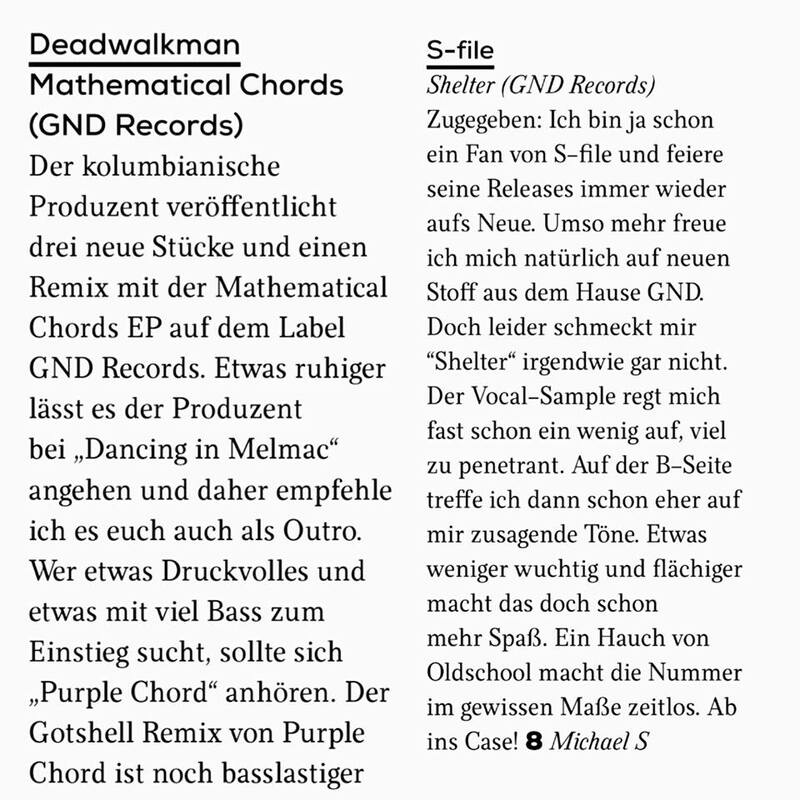 We are proud to have Bogota's finest and Baum Club resident Deadwalkman with his 3rd EP on GND! His new two tracker is an sure player on the dancefloor plus a remix from the GND Records Head S-File himself. Mr Deadwalkman whets the appetite for a remarkable body of music that looks set to stand the test of time!